When there is a stump on your property they can be unsightly and sometimes even detrimental to the integrity of your property. 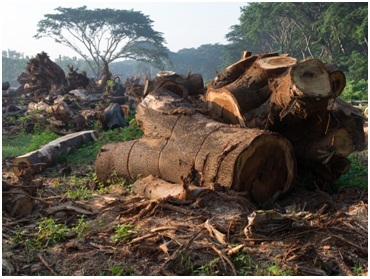 Typically, a stump needs to be removed after a dead tree has been cut. Sometimes, a tree needs to be removed because the branches are likely to cause harm soon if and when the weather gets bad. However, removing a stump isn’t exactly an easy process, nor is something you should try to do on your own. The root system that is still attached to the tree stump is extremely complex and lengthy. This is why it’s so important to leave the tree cutting up to the professionals. Before the professionals start removing things, there are four things you need to consider before having a stump removal performed on your property. Even though it would seem like you should be able to do anything you want on your piece of property, the fact of the matter is, tree cutting does involve some city regulations. Always check your city council regulations around trees on private property. In some cases, you or your removal service may need to acquire permission prior to removals. You can ask for a copy of your tree cutting laws in your area, as well as an application for removal. Typically, the council will ask for the type, size, and property lines of where you and the tree are located. If you are considering removing the stump yourself, you’re probably considering a stump grinder. However, what type of grinder you use and if the grinder will work is all dependent on the type of wood the stump is made from. This means that grinders do not always work. Actually, they can end up being more work than they’re worth. A professional will easily be able to assess the right removal technique better than you. The thing about tree roots is that they don’t stop growing and they will push dirt and pipes out of their way. It’s nearly impossible for you to tell exactly where the tree roots are. That’s why we’re the professionals. At Winter Tree Park Service company, we can help assess if tree roots have grown to a point where they prove a danger to your property. If they have, and you try to remove the stump on your own, you could potentially damage your home’s underground piping system. Even with the best tools, the stump cannot always be removed. In some cases, the stump and its roots may actually be dead. If this is the case then it may not be necessary for the stump to be removed. Again, as someone who isn’t a professional, it is nearly impossible to confirm or deny if a stump is dead. A professional will be able to quickly and easily assess the removal situation. Since we can specify and recommend the appropriate removal situation. If you have a stump or a tree on your property that you are thinking about removing Winter Park Tree Service Company. 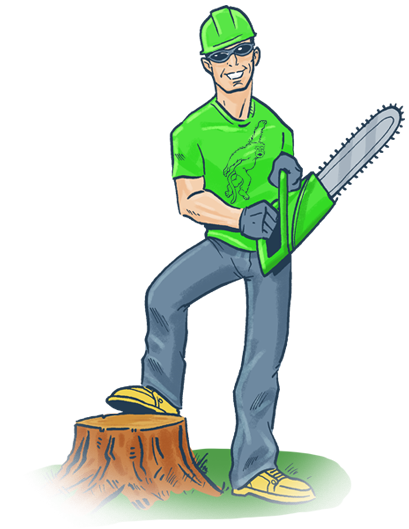 We are your experts in tree and stump removal services. We always promise to keep you well informed throughout the entire process from your initial consultation to the actual removal. We always adhere to our strict GREEN policy, which promises to never contribute to the landfill problem by dumping natural, recyclable and reusable resources into the landfills. Always working hard and in the most efficient manner, we will never price gouge or shock you with a quote well beyond the original quote. We want to do whatever it takes to make you happy and keep your home and its integrity intact. If you have a problem stump on your property you don’t have to live with the problem. Call us today to get a quote for a removal. What are you waiting for? Pick up the phone and call. When there is a stump on your property they can be unsightly and sometimes even detrimental to the integrity of your property. Typically, a stump needs to be removed after a dead tree has been cut.